Good morning! 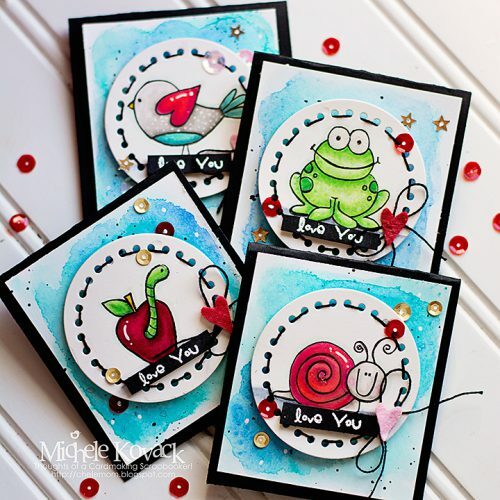 Michele here with some cute little stampy cards that I popped up with Crafty Foam Tape – aren’t they adorable? When my kids were younger, I slipped these babies into their lunch bags as a reminder of how much I love them. Now I send them to my college son and occasionally leave one for my husband! Small in size of just 3 x 3″, stamped in black ink and colored with Copic Markers. I created a simple water colored background for each image using water color markers. The image was cut using a die and then I threaded some black twine through it and tied it in a bow. 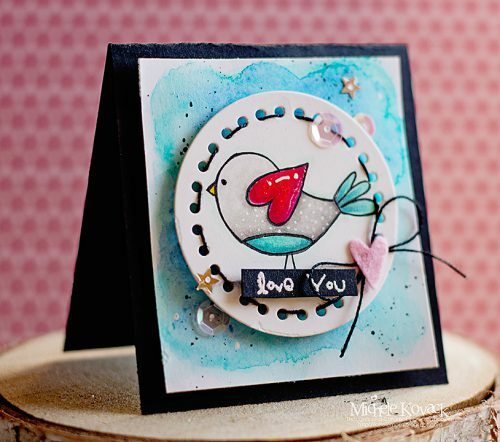 Each piece was layered using Crafty Foam Tape. 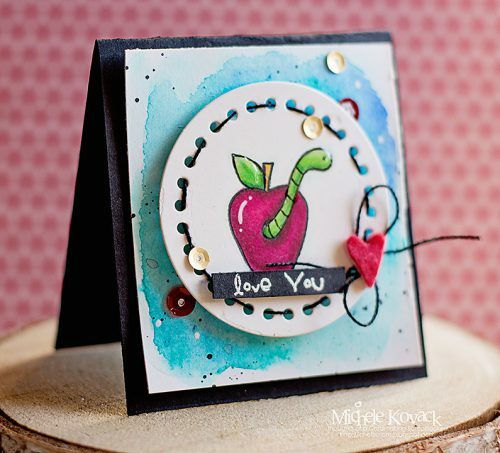 I used the Dual Tip Glue Pen to adhere each of my sequins and my little felt heart. The sentiment was stamped on black paper with Versamark and embossed in white. I used Crafty Foam Tape to adhere that as well. Everyone loves a little sunshine in their day….and this is such an easy way to do it! 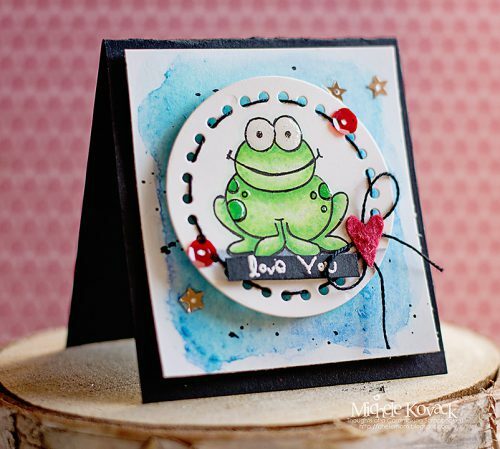 This entry was posted in Adhesives, Cards, Crafts & Tutorials, Crafty Foam Tape, HomeHobby by 3L, Spring and tagged Card, Copic Marker, Crafty Foam Tape White, Dual Tip Glue Pen, Michele Kovack, Watercolor. Bookmark the permalink. 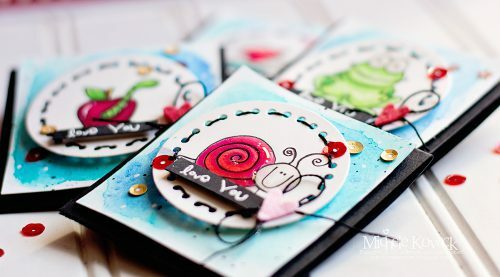 One Response to "Lunchbox Cards with Crafty Foam Tape"